Whooping cough has been a bigger news item than ever this month after the tragic death of four week old baby Riley Hughes in Perth. Today we welcome great, factual reading about whooping cough and your family from our resident GP Melissa Homewood. Whooping cough is caused by a bacterium called Bordetella pertussis. It is highly contagious. Infection with the disease does not confer immunity and you can catch it again – hence even if you have had whooping cough, you still need up to date vaccination. Because whooping cough can be deadly in young infants (usually under six months) one of the main roles of our immunisation program is protecting this vulnerable group. In this age group, mortality rate is 0.8%. Despite our immunisation program pertussis remains reasonably common. 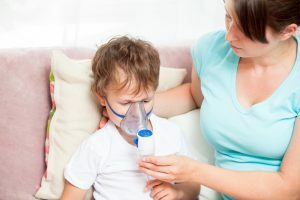 That is not to say that vaccination has been ineffective – indeed as well as much lower rates of disease and death since the introductive of the vaccine, those who do contract pertussis post vaccination tend to get a much milder illness. The vaccine itself is around 80% effective – not the best we have but MUCH better than 0% cover! Suboptimal rates of immunisation – simply, enough enough people are vaccinating! Unfortunately one course does not confer lifelong immunity hence booster doses are important. These are often forgotten. 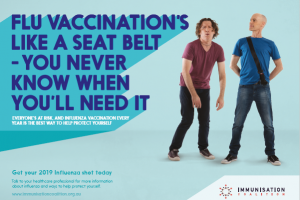 For example – in Australia following the routine 2/4/6 month schedule of immunisation, immunity wanes progressively from two years to less than 50% cover by four years of age (when we give the booster). In adults, protective antibody levels decline rapidly over two years and then progressively continue to decline until they start to approach pre-vaccination levels at 10 years. So even those who are vaccinated have reducing levels of immunity over time. Updates were made in March 2016 to the Australian Immunisation Handbook. Both are aimed at protecting young babies from contracting whooping cough which we are sadly reminded (too often) can be deadly. It is recommended that a booster dose is given at 18 months (so this would join the MMR/chicken pox vaccine at this age). This is given at 18 months (with MMR/chicken pox vaccine at this age). This is aimed at improving immunity in the 2-4 year old age group who quite commonly would be around newborns in their families and potentially spread the disease on. There is a preference for vaccinating pregnant women in their third trimester. The recommended time is between 28-32 weeks but it can be given at any time up until delivery. This has been shown to be more effective in reducing infant pertussis than vaccinating mum after birth. The reason for this is that some of the antibodies that mum makes against pertussis are transferred via the placenta to the baby who will have some short-term immunity after birth. This has actually been done in the US, NZ and UK for some time now and has just been recommended in Australia. There has been no evidence in studies or from observation of adverse effects on the pregnancy/baby. It is not universally funded by state Governments. Where I work (QLD), it is now FREE to these women and I believe WA is following suit. Check with your doctor in your state. This is constantly changing as well and I think many states will likely move towards funding this. If you are not vaccinated during pregnancy it is still recommended you be vaccinated after delivery if you have not had the vaccine in the past five years. It is also recommended that women be revaccinated with each pregnancy, even those with short intervals <2 years between. This is because we don’t know how long mum’s antibodies are present in adequate numbers, so this approach confers maximal immunity to each newborn. It is safe to do this – the main risk for the mother is increased local reaction (more sore/swollen arm) but this is balanced by the benefit of protection in the newborn. Who else should be vaccinated/receive boosters? Have a talk to your doctor if you have any questions about whooping cough and vaccination recommendations. Between starting this article and completing it, some big changes have been introduced so this is an evolving area! I think this is a great example of how our health authorities are continually monitoring the success of the vaccination program and making appropriate changes when needed to provide better protection for our communities. Fact sheet put out by the National Centre for Immunisation Research & Surveillence. This is an observational study from the UK by a very reputable medical journal (BMJ) demonstrating the safety of pertussis vaccine in pregnancy. This is a good simple FAQ type page from the NHS in the UK, who have been vaccinating pregnant women against pertussis for a few years now. You can see all of Melissa’s articles here. I'm a GP on the Sunshine Coast with an interest in paediatrics and women's health. One of the absolute highlights of my job is looking after women throughout their pregnancies, seeing their newborns and watching them grow up/adding to their families over time. I am currently waiting for my 2nd baby to arrive whilst tackling the sleep problems/tantrums/toilet training (or not)/general hyperactive behaviour of my crazy but wonderful 2 year old boy. All very well and good if there was any stock available so you can get your booster! !